Cats are perhaps the most adorable and affectionate pets one could ever have! And it is extremely difficult to resist feeding your cat leftovers or bits of food from your plate when he stares at you with those lovely eyes. But is it safe for cats to eat people food? Can cats eat potatoes? Potatoes appear to one of the most harmless vegetables and the general impression is that they must be okay to feed to your cat. However, you need to be aware of a few facts about how they are with cats. Cats cannot eat everything and you should not let the images on television of cats looking for food scraps in garbage cans cloud your judgment in this regard. 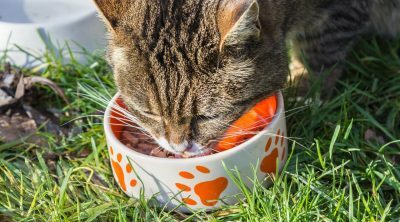 A bit of research will tell you that all wise cat owners out there surely believe that people foods are not safe for cats. This is basically because cats have completely different needs in terms of nutritional requirements. 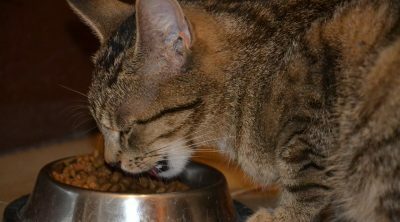 Even if your cat is ecstatic while eating something off your plate, that may still be terrible for his digestive system. Yes, cats can eat potatoes, but potatoes should not be an everyday staple food for them. Cats have all they need through the cat food you offer, and do not need human food to survive. 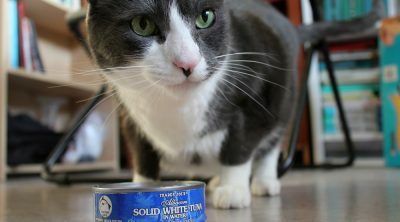 In the event you wish to boost the vitamin intake of your cat, or your cat needs to gain weight, offering human food approved by your vet is often an easy way in which you can keep your cat healthy. Small portions of potato mixed with your cat’s regular food are fine to offer. When you choose to offer human food to your cat, always do so by first offering a small bite. After your cat has a bite, watch your cat to gauge for reactions and possible side effects. 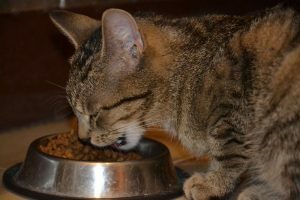 If your cat seems to enjoy the food, takes it willingly, and does not have stomach upset, your cat is likely to respond to the introduced food well. When your cat has been cleared to eat potatoes, keep in mind that less is more. Always offer food in moderation and on occasion. While potatoes are deemed safe for cats to eat, not every form of potato is safe for your furry buddy. Fresh, ripe potatoes free from leaves, sprouts, debris, and dirt are generally ok after the potato has been cleaned and cut into bite sized pieces. You must intervene with your cat eating potatoes to ensure your cat stays safe. If your cat begins to eat potatoes that are outside, you will run into many problems as cats cannot eat the leaves, or the skin of potatoes that have yet to ripen. Unripe potatoes contain the chemical solanine which is found in the skin of these potatoes and also within the vegetable itself. This substance works as a defense mechanism and repels all those creatures that try to eat the vegetable. So if you have a potato patch, you must ensure that your cat stays out of it at all times, particularly don’t let him in there if he is hungry. Potato plant itself is not safe either. The leaves are toxic. If your cat eats unripe potatoes in large quantities, which is rather unlikely as cats are small creatures, their solanine toxicity may wreak havoc on its digestive and nervous systems. Kittens are particularly at risk for severe illness as their digestive systems are quite fragile. Be sure to keep your cat away from any unripe potatoes and fence the area of your garden that has potatoes growing. Uncooked or raw potatoes are not to be fed to your cat at all. They are likely to cause an upset stomach because of glycoalkaloid solanine, which is an element found in raw potatoes. 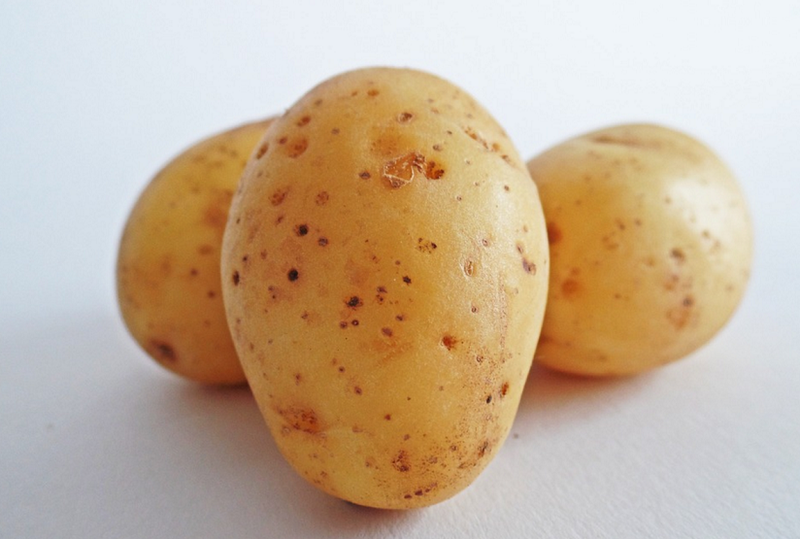 Because of this toxic substance, raw potatoes are literally poisonous for your cat. Raw potatoes may also be too difficult to chew, swallow, and break down in the stomach, thereby causing a choking hazard for your cat and possibly an intestinal blockage. 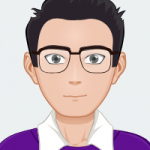 If your cat has eaten raw potato accidentally, that may not be too harmful, but larger quantities will surely make your feline seriously ill.
No one eats potato peels and neither do cats. Potato peels are harmful for your cat just as raw potatoes are. Potato peels are not only undesirable, but may contain dirt, bacteria, and pesticides within the skin, depending on where the potato was grown. Although you are not likely to feed your cat potato peels as a meal, there is a possibility that your furry friend may eat some if you are peeling them as you rush through a meal preparation. Your cat may also enjoy exploring your garbage cans and might accidentally eat a few if the garbage is left uncovered. The cat will most probably not like the taste but you must be careful not to leave peels lying around as they may make your cat sick. Cooked potatoes are perfectly safe for cats. If you read through the ingredients on various cat food bags, you will find potatoes as one of the most common ingredients. 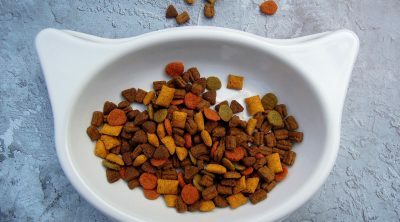 Potatoes and other veggies are often used as fillers in cat food and in cat treats. There are great benefits to eating potatoes and a lot of nutrients to offer. However, the potato breaks down into a sugar and can cause weight gain, so potatoes, and products that use potato, should only be eaten in moderation. It is important to know that these potatoes are always cooked. Once the potatoes have been cooked, all the toxic alkaloid is destroyed. Bacteria are also destroyed when the potato reaches a certain temperature. An excellent way of adding potatoes to your cat’s meal is to boil and mash them and then add them to other ingredients to make a nourishing and delicious meal for your pet cat. You may also puree the potato and mix in with cat kibble. French fries are not suitable for cats but one or two will not cause much harm. Potatoes should not be offered that have been deep fried or salted. Cats are carnivores, which mean that they get their nutrition mainly from various kinds of meats. The nutrients that they need from plant-based foods are fewer. These must be given to them in forms that can be digested easily. The digestive system of a cat is very sensitive compared to other animals, and their stomachs are small. You should not feed your cat too much of potatoes or other vegetables. They will eat them of course, but these are not too good for their long-term health. There is a vast variety of dry and wet cat foods for you to choose from. These commercially prepared cat foods add a balance to your cat’s diet as they contain the right amount of various nutrients that your pet needs for a healthy life. However, they often contain preservatives, so you should be careful not to use cheap varieties. 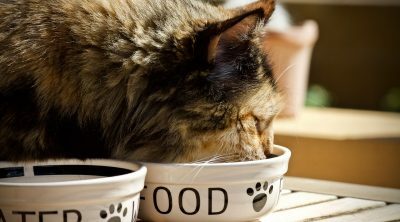 Always choose good quality commercial cat foods. 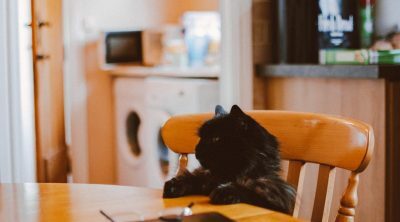 If you cook your potatoes properly, serve them to your cat in small portions and balance the meal with other essential components, your cat will remain healthy for a long time. Potatoes contain fiber, carbohydrates, protein, vitamins B and C, and potassium, which are all essential nutrients for your cat. However, you also need to know that potatoes contain nutrients that can make your cat obese, and cause pancreatitis or arthritic limbs over time as your cat advances in age. Yes, cats can eat potatoes but in small portions only and in cooked form. Interesting…I had a cat who lived 19 years who loved and ate potato peels on a regular basis. She was born in Scotland,so perhaps her foreign digestive system protected her ; )). And my husband loves raw potatoes. I guess we are the outlier family! I have friend who plays potato with her cat. She throws a small potato to her cat which it immediately snatches and chomps away at as if it were a mouse. Every small crumb of that raw potato is ingested. This same cat jumps over into her neighbours property to steal their small cucumbers before they are even fully grown or ripened. It comes back to her with this green thing hanging out it’s her mouth as though it were a mouse and then proceeds to chomp away at it until every little piece is consumed. My own cats eat popcorn and potato chips and pasta. And another friend of mine feeds her cat bread dipped in milk. Of course we all feed them meat and they are not in any way deprived or starving. But this dispels the myth that cats are obliterate or completely carnivorous. Can Dogs Eat Bread? Is Bread Good Or Bad For Dogs?